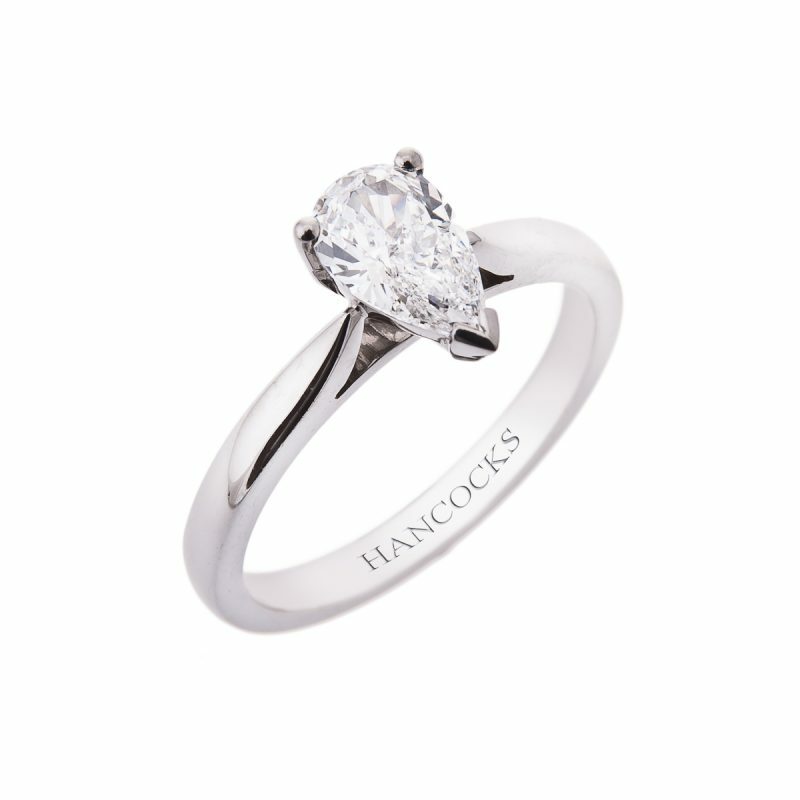 Our peerlessly beautiful diamond engagement ring is mounted with a single pear cut diamond, rare white colour. 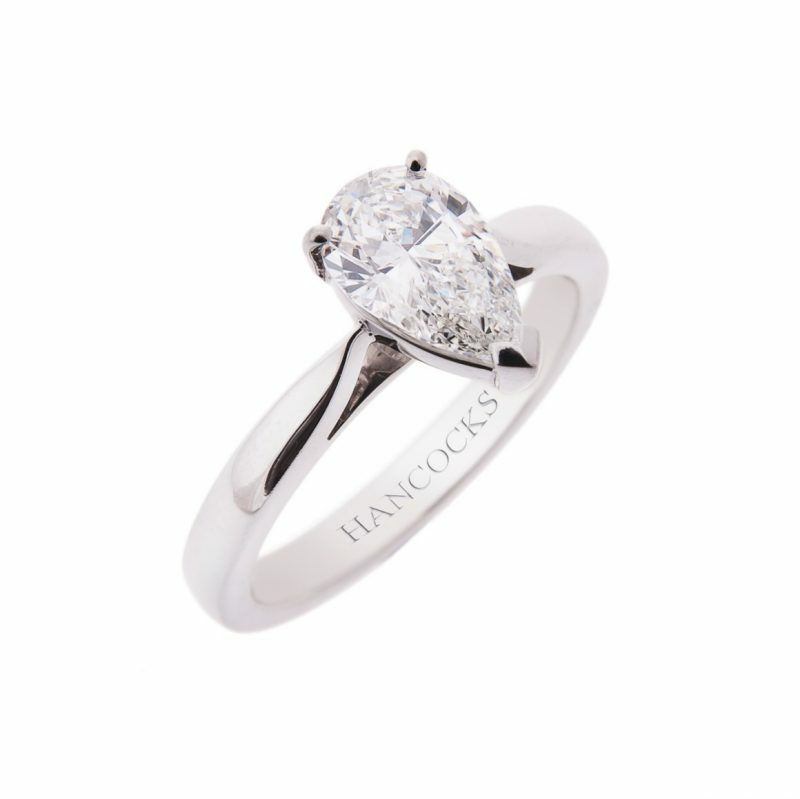 This diamond solitaire is hand selected for its exceptional sparkle and excellent proportions and has been set in the finest of platinum claw setting. 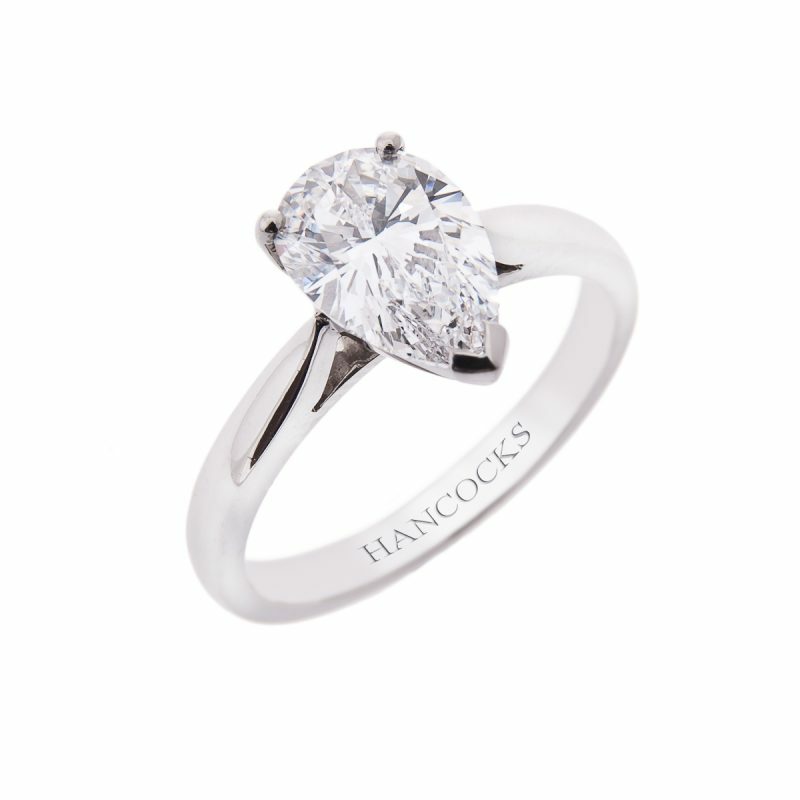 A pear cut or teardrop shape elongates the finger and adds a classic touch of grace to both contemporary and traditional engagement ring designs. 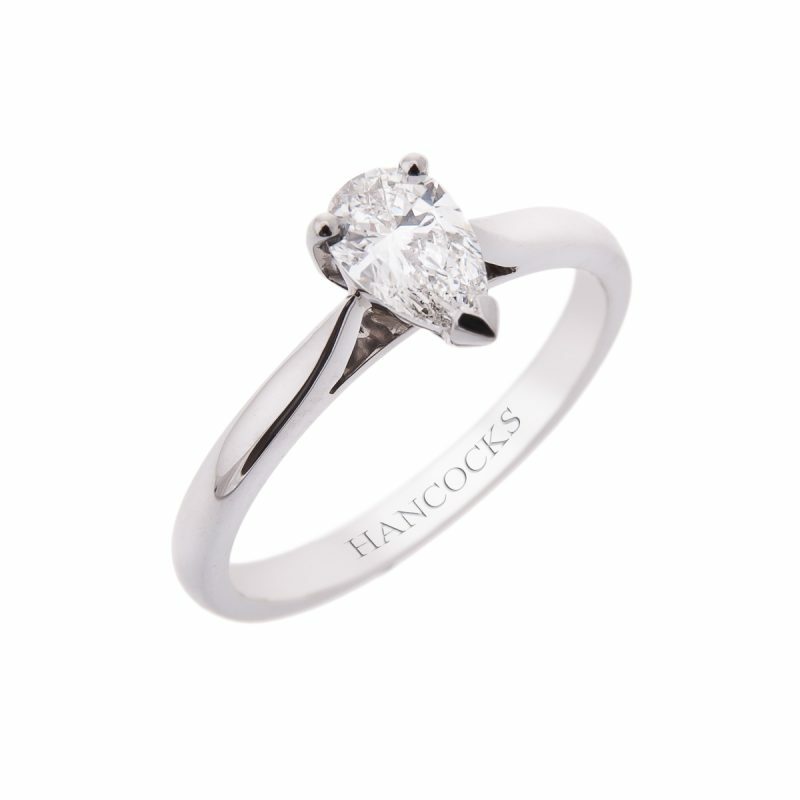 A cross between a brilliant and marquise cut they have a higher degree of brilliance and fire than other fancy cuts.